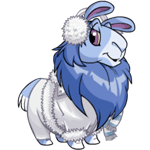 I don’t have a big budget and don’t like to follow the trends, but I enjoy creating new looks and using the amazing items neopia has out there to their full potential. So welcome to the first part of my customization diaries, a series of me rambling on about my favourite items and looks, and I hope you’ll enjoy it and maybe discover some items yourself. For all you grumps out there! You know who you are!